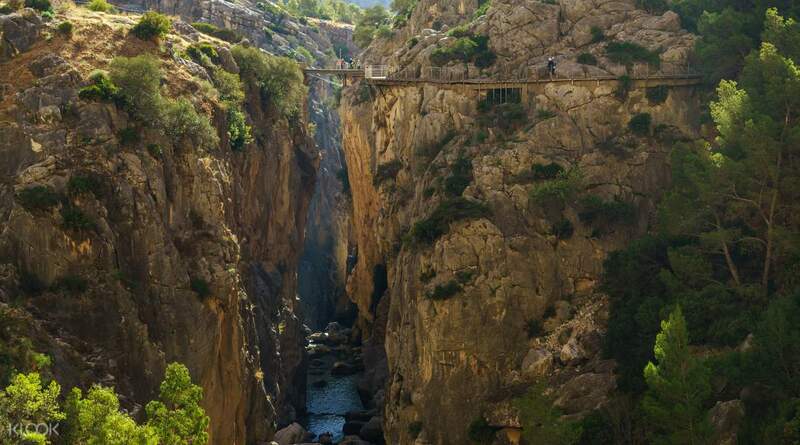 Challenge yourself with a scenic walk along El Caminito del Rey (The King's Little Pathway), a narrow walkway hanging 100 metres above the Guadalhorce River. The pathway is over 3 kilometers long and less than a meter wide — so get ready for some breathtaking views and an adrenaline rush. Depart from one of these locations: Malaga, Torremolinos, Fuengirola or Marbella, hop into an an air-conditioned bus and head to the Conde de Guadalhorce Dam to start the experience. 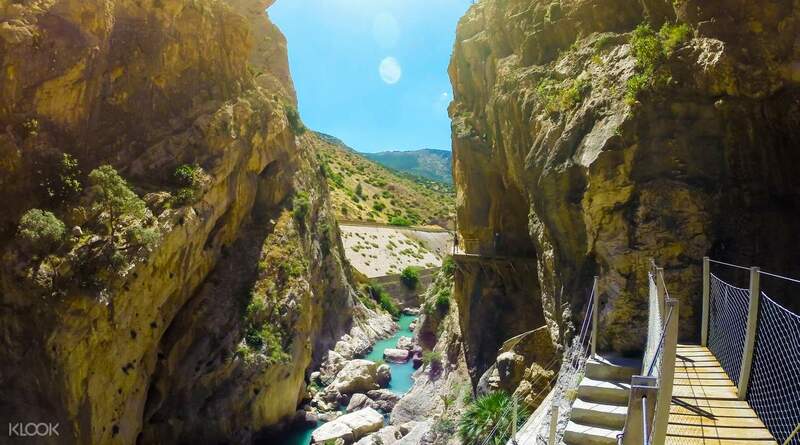 Learn interesting facts about the history of the Natural Area of Gorge Desfiladero de los Gaitanes from your multilingual guide and take plenty of photos before heading back to Malaga. 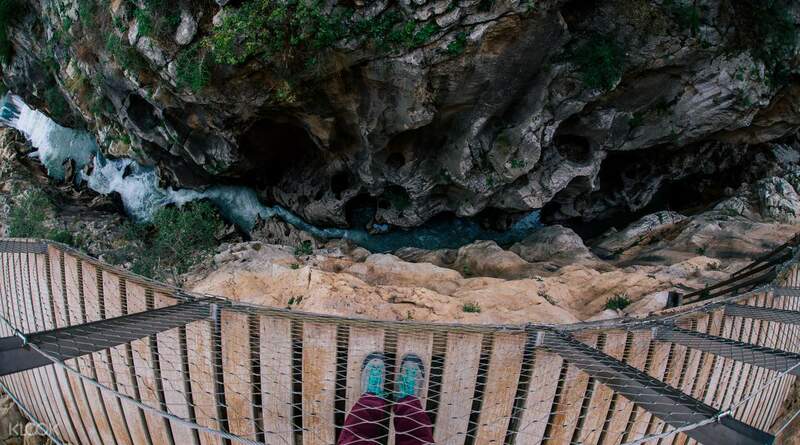 A great experience for anyone capable of walking the 5km and not afraid of heights, spectacular views and scenery, the path is very safe and solid, and you can see the old path which is scary just to think that people would do it just for thrills. Go prepared with camera, good walking shoes and water. Also remember to take a raincoat as it is exposed and weather can change fast. An exhilarating experience. A great experience for anyone capable of walking the 5km and not afraid of heights, spectacular views and scenery, the path is very safe and solid, and you can see the old path which is scary just to think that people would do it just for thrills. Go prepared with camera, good walking shoes and water. Also remember to take a raincoat as it is exposed and weather can change fast. An exhilarating experience. Great tour with Julia travel would highly recommend. Great tour with Julia travel would highly recommend. 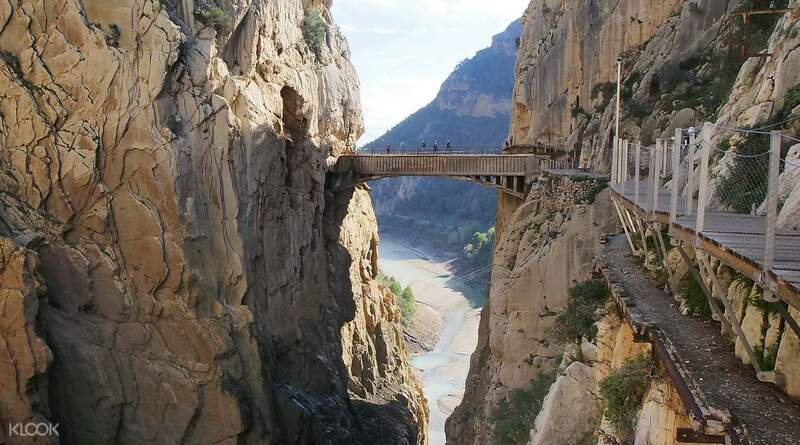 The Caminito Del Rey hike was really awesone. (Dress warm if you are visiting in late December.) however the local wine and olive tasting for over an hour after the hike was just a tourist trap. Not necessary. 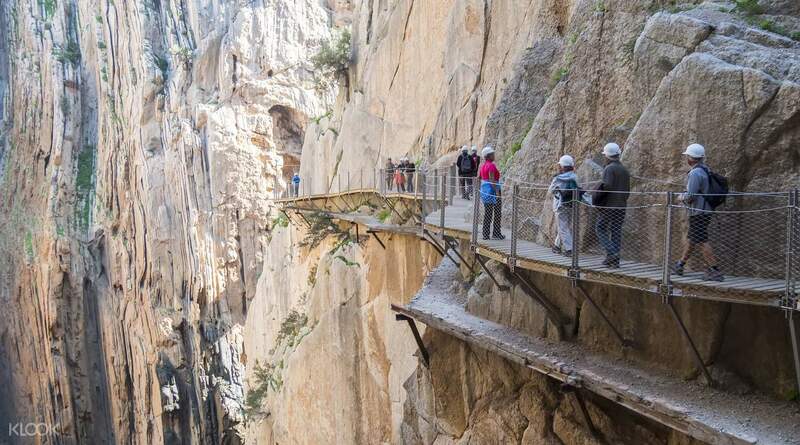 The Caminito Del Rey hike was really awesone. (Dress warm if you are visiting in late December.) however the local wine and olive tasting for over an hour after the hike was just a tourist trap. Not necessary.